It’s been several months since I’ve reviewed a black tea (the last tea I reviewed in this category was Blue of London), and I’m very fortunate to be revisiting this type of tea with a wonderful Earl Grey blend sent over thanks to the folks at Whittard today. This earl grey is a wonderfully flavorful and refreshing cup, a perfect way to spend a leisurely afternoon. Living in the United States, I haven’t tried Whittard teas before. The packaging the tea comes in is charming, and is nicely marked with the date the tea was produced as well as the date that it’s best completed by. 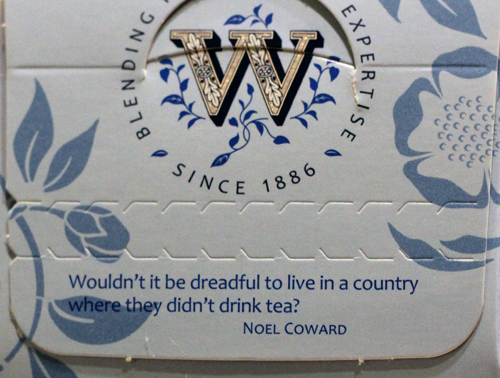 It also has a wonderful little quote in the back which captures my thoughts of tea exactly. Few hours in life are more agreeable than the British ceremony known as afternoon tea. Our Afternoon Earl Grey is distinguished by its classic bergamot taste combined with the gentlest fragrance of blue cornflowers. An elegant blend, it evokes an era of fine china and leisurely conversation, when the ceremony of teatime was an unhurried pleasure. Add 2-3 teaspoons of tea to a 6-cup pot. Pour in boiling water and leave to brew for 3-4 minutes. Strain and pour. This tea’s best without milk. Stop what you are doing and enjoy. After opening the tea, the bright, citrusy aroma of bergamot is deliciously promising! The tea leaves are uniformly sized, dark brown near black, and scattered with the occasional highlight of deep purple cornflower blossoms. It’s an elegant and nicely scented tea. The tea, once steeped for 3 minutes, yields a dark amber cup, still richly scented with bright citrus notes. The first sip is brisk, full-bodied, and very satisfying. It’s a wonderful blend that is mild, yet flavorful. True to the description, it’s quite satisfying and doesn’t have any trace of the bitterness or acidity that would require milk to round out. The bergamot hits just the right note and compliments without overpowering the black tea in the cup. Overall, it’s an excellent cup which I enjoyed very much, and one of the best Earl Grey blends that I’ve had in a while. I’d highly recommend this high quality and accessible tea. Pack Size: $6.75 for 50 teabags, or $8.25 for 125g. 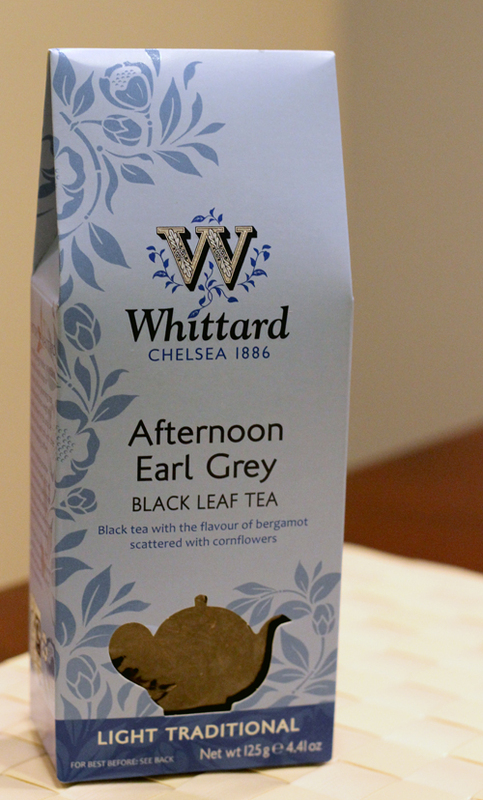 This tea can be purchased at the Whittard of Chelsea website here.